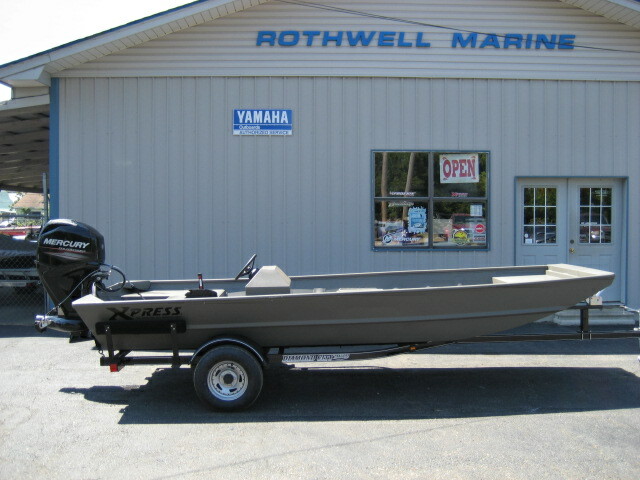 We just received this 2019 Xpress XP180. It is rigged with one of the most reliable jet engines in the industry, the Mercury Jet 80 Four Stroke. 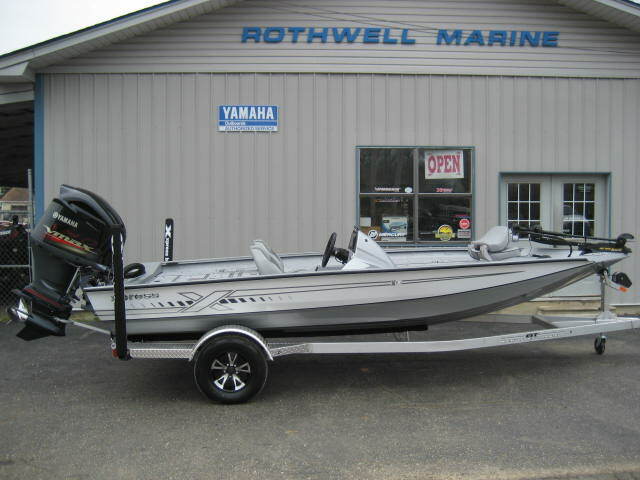 Comes with camo paint inside and out, matching camo seating, Minnkota Edge 70LB thrust, built in live well, built in fuel tank, and Back Track aluminum trailer. Ready to run the shoals at river. 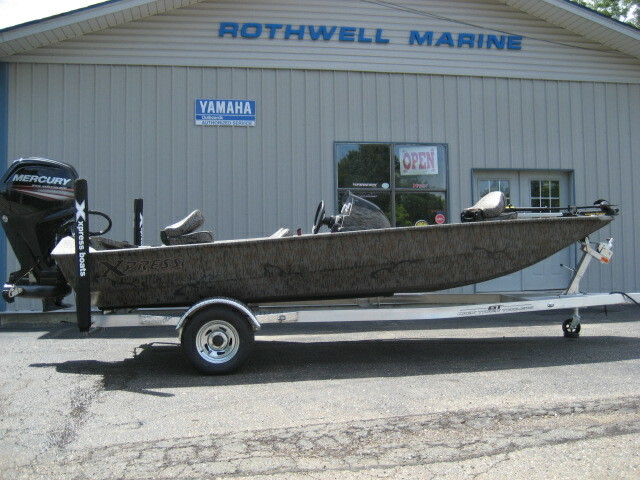 Xpress 1650 HID (Front Deck Model) with Mercury Jet 40 four stroke EFI with Big Tiller, and Diamond City trailer.